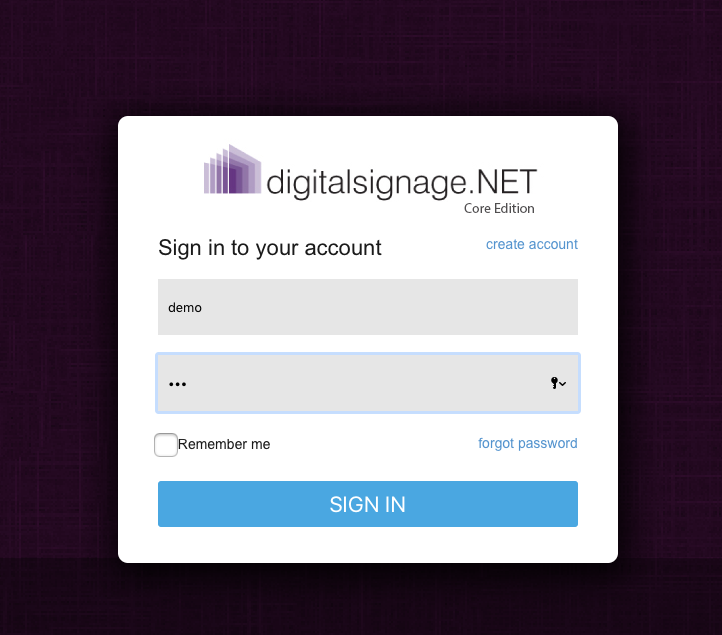 To login to digitalsignage.NET Core Edition use your internet web browser and go to https://core.digitalsignage.net. Use the username and password that you created when you set up your account and click the “Login” button. If you don`t have an account click on the “Create Account” link located at the top right of the login box and create a new account. Creating a new account will require you to verify your account. Please check your email for confirmation and follow the instructions to complete your registration.